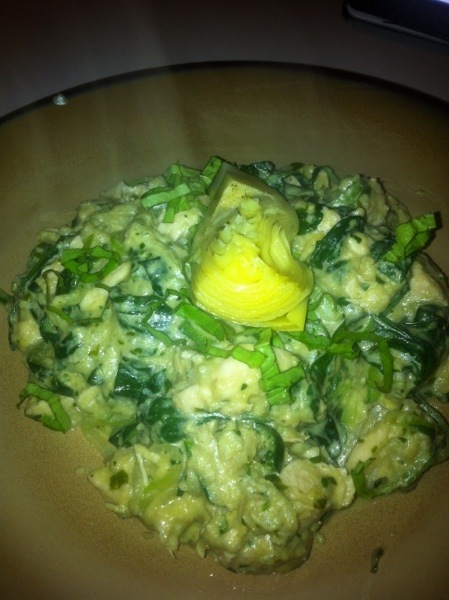 Paleo Lemon Artichoke Pesto Chicken “Pasta” with Spinach too! Wow, was this good! It tastes almost creamy but there is really nothing bad at all in this dish. No dairy or cheese, but almost feels like it should have some in it. 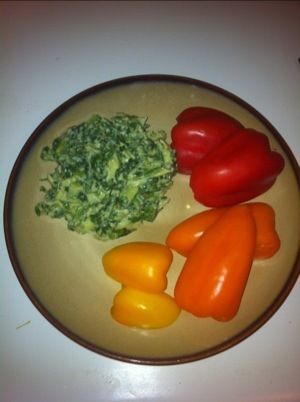 Super healthy and has to be one of the top dishes I have made. This is a repeater for sure. 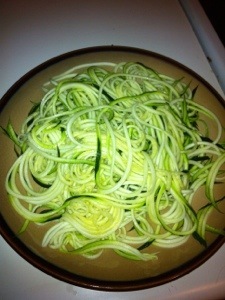 I used ribbons of zucchini as my spaghetti but you can also use spaghetti squash or any type of stringy squash. * 1 jar of artichoke hearts. 1. First thing I did was sprial cut the zucchini. Get a pot of water going and have that start to boil. Set aside for a while. You DO NOT want to overcook your spaghetti “noodles”. If you do, they will become mush. So this is the last thing you do. 2. In a saucepan add some olive oil, or butter. Melt down and then add one of your diced garlic pieces. When that just starts to become fragrant, add your artichoke hearts and cook these until they turn a tad brown or cooked well. 3. Add your walnuts, olive oil, clove of garlic, and vegetable broth in a food processor and puree until smooth. 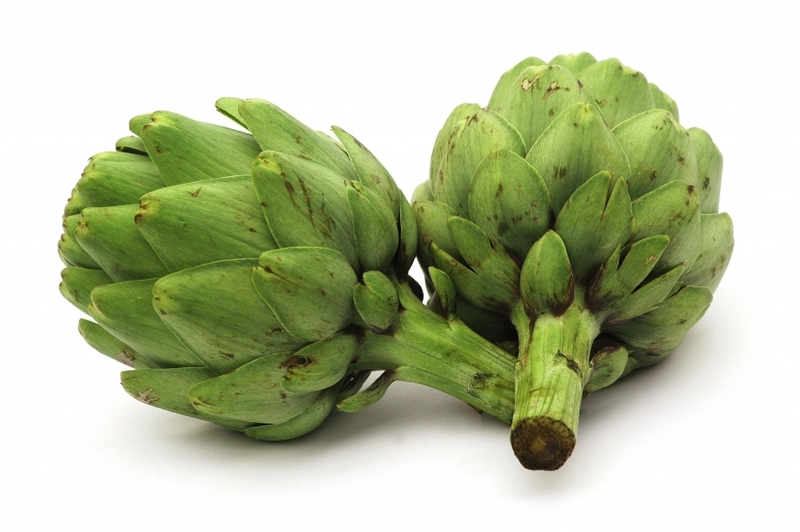 When the artichokes are done cooking, add them to the mixture and puree well. 4. 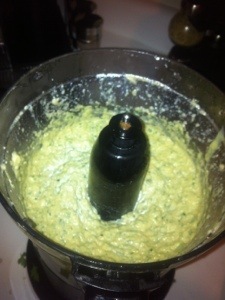 Add your parsley, basil, and 1/2 juice of a lemon and mix until creamy smooth. If you like chunky artichokes in your sauce, then leave a few of those out and add at the very end, just chopping a little bit. Taste and if you like more of a lemon flavor, then add more lemon. Make sure to add a dash of salt and pepper to the mix as well! 5. 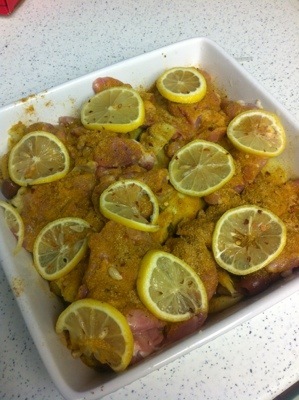 Take your chicken and cut into small pieces. Add a little more olive oil or butter to your saucepan you cooked the artichokes in and cook your chicken until just brown on the sides. When your chicken is almost cooked, now is the time to drop your zucchini spaghetti into the water. Only leave in for a few minutes until soft. Think al dente, even though it isnt real pasta. 6. 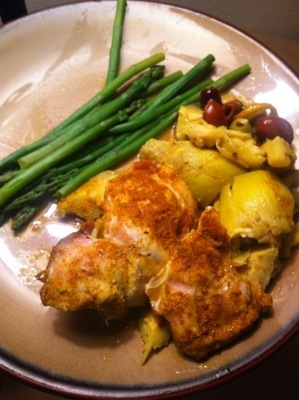 Add about 1/2 cup of the artichoke mixture to your chicken along with about 4 large handfuls of spinach. 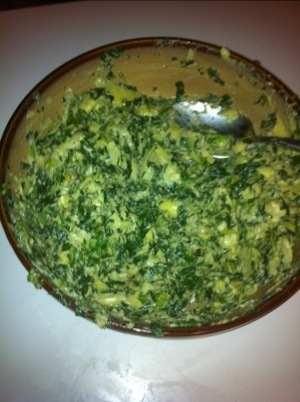 Cook until the spinach has wilted and become soft. 7. Add in your cooked ‘spaghetti’ and the remainder of the sauce to the saucepan. Mix well together until everything is combined. 8. 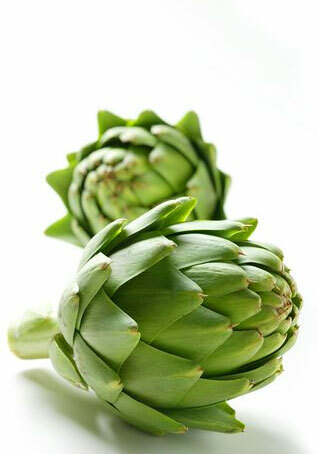 Serve with a little fresh basil on top and one of the remaining artichoke hearts. Honestly this dip should be called Amazeballs Artichoke dip! This is so good. You can make this strict paleo or add a bit of goat cheese at the end to make extra creamy. Which then makes this turn into ‘dreamy creamy’. I got an A+ review from the man, so we know it’s good. I found this recipe on paleoOMG again and I swear if this woman comes up with these off the top of her head she is a friggen food paleo genius. 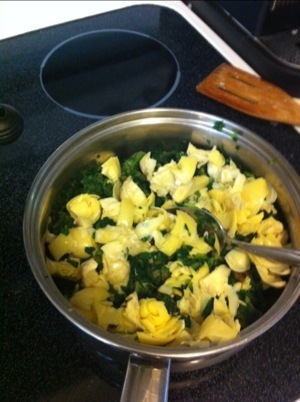 In a saucepan combine the spinach and artichoke hearts. Cut the artichoke hearts into bits. Sprinkle with spices and salt/pepper. When nice and warm and all mixed up, transfer to a medium serving bowl. Male sure to drain the excess water first. In a food processor add the cup of cashews and grind until very fine and floury. Add the olive oil and blend in processor until nice and creamy. Here is where you want to add the goat cheese if you want. Blend again and then Add to spinach mixture. You’ll really want to mix and mash this in well until the dip is creamy and delicious looking.